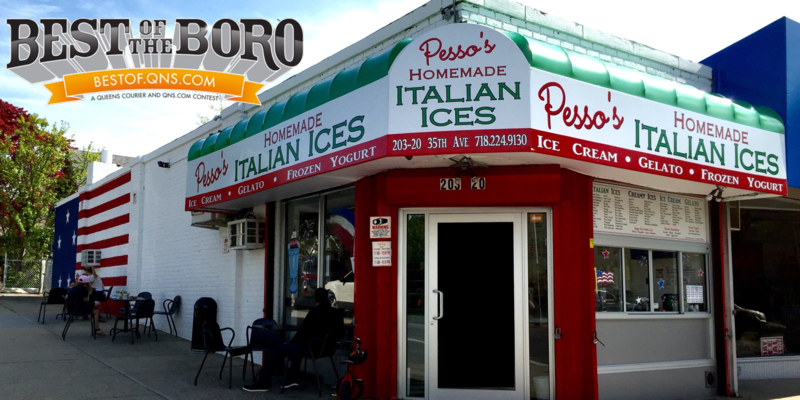 July 25, 2017 July 25, 2017 Pesso's IcesLeave a Comment on Happy National Hot Fudge Sundae Day! Try one of our 4 Signature Sundaes or make your own with any flavor of Ice Cream or Gelato, any 2 Toppings, and Whipped Cream & a Cherry! 🍒 We’ll be celebrating with some @yelp @yelpnyc @yelpqueens yelpers tonight! Happy National Hot Fudge Sundae Day! Try one of our 4 Signature Sundaes or make your own with any flavor of Ice Cream or Gelato, any 2 Toppings, and Whipped Cream & a Cherry! 🍒 We’ll be celebrating with some @yelp @yelpnyc @yelpqueens yelpers tonight! We’ll be celebrating with some @yelp @yelpnyc @yelpqueens yelpers tonight! Previous Looking for something special? Our Graham Cracker Creamy Ice is rich & sweet with just the right hit of cinnamon. Next Our Sugar Free Pistachio Italian Ice is so good, you might not realize it’s Sugar Free. Filled with real Pistachios of course!